Since having a knee replacement over 6 months ago I have struggled to get settled and comfortable in bed. My physiotherapist recommended an adjustable bed so I bought one from The Electric Bed Co. I was a little bit nervous buying from an online company but need not have been. The communication right from the start was excellent, the delivery was just as promised and my new bed is the best thing that has happened to me since my new knee – thank you very much. We used to think adjustable beds were for the elderly or those with mobility problems – how wrong we were. Some friends recommended your beds to us and after doing a lot of research we decided to buy one. We bought a prestige Ambience 5ft bed with dual mattresses. All we can say is ‘wow’ we never imagined a bed could be so comfortable and versatile. We can relax reading or watching a movie and one of us can settle to sleep whilst the other is still up. This beats sitting on the sofa any day. Just wanted to thank you for an early delivery and fast service. My mum had an accident a few weeks ago and needed a better bed fast. You not only did exactly what you said you were going to do but you also did it faster. Thank you very much! My new memory foam mattress is just what the Doctor ordered. I broke my hip about 6 months ago and am now back home. My old bed seemed to be not at all comfortable so my daughter ordered me one of your memory foam mattresses. It is just like magic as it really does mould to my body. I am so much more comfortable in bed now so thank you very much. Also your delivery men were very kind so please thank them for me. Thanks very much for the speedy delivery of our new mattress – you acted fast when we needed a replacement quickly – your customer service was second to none! BTW the mattress is extremely comfortable. Our old mattress was over 15 years old and getting a lot saggy to the point where we started to roll into the middle of the bed. Our nephew had bought a mattress from yourselves so he recommended you to us. We bought the Alhab Orthopaedic Mattress which at only £99 including delivery for a double was a very good price. We are very happy with this and no longer roll into the middle of the bed. Buying a new home and all the furniture for it has been a massive expense for us but thanks to companies such as the Electric Bed Company we have been able to get amazing quality at a really good price. We bought our new bed almost 4 months ago and we are both delighted at the level of comfort and support it gives us. Thank you for not having expensive showrooms and staff! 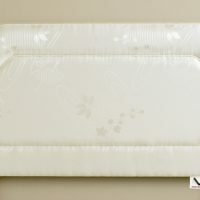 After promising ourselves a new mattress for the last 3 years we finally did it – never having ordered anything like this online we were a bit nervous as your price was almost too good to be true. Our granddaughter did the order for us. We have to say that we are very pleased with this and have had a good nights sleep every night for the last 3 weeks thanks to you. Hi, I just wanted to say a huge thank you to you and your team at the Electric Bed Company. I ordered a new mattress from you last month and I am very pleased with this. The quality and price are excellent and your commitment to good customer service is first rate. Delivery was exactly on time and the delivery guys very helpful in getting the mattress up the stairs. Many thanks from one happy customer. I just wanted to say a big thank you to yourselves and your lovely delivery team. My new adjustable bed was delivered exactly on time and the delivery men installed it very quickly for me. Since then I have enjoyed a very comfortable nights sleep every night and after a week I can honestly say that my painful left hip feels very much easier. I have told all of my friends about you. Last year I had a nasty fall and ever since then I have been troubled with various niggling problems. My lower back is very sore and my right knee gives quite a lot of trouble. I have regular physiotherapy and this helps. My physiotherapist asked me about the type of bed I sleep in and what sort of mattress I have. I confess I was embarrassed as I did not know what sort I had and more importantly I realized that the mattress I did have was very old and very uncomfortable. Like many people I had meant to get around to buying a new one but new quite did anything about it. So, on the recommendation of Jim the physio I bought a Prestige Ambience Pocket Sprung Mattress from the Electric Bed Company. This new mattress has made a positive difference to my back and knee problems as I am now correctly supported whilst in bed and not only that I now find that I am sleeping much better and my husband too. Thanks Electric Bed Co.
We decided to give our bedroom a ‘changing rooms’ makeover and wanted one of those electric adjustable beds. We bought one from The Electric Bed Co and are so delighted with it. It blends in with the room perfectly as it looks just like a very smart normal bed but you notice the difference the second you get into it. We have never been so comfortable in bed – in fact we now prefer to sit in bed rather than sitting in the sitting room. The comfort and support is excellent and we have both noticed that we sleep very much better now that we have a mattress each. We chose the Prestige Ambience 6ft model and at just £798 it is very good value especially as we got free delivery and assembly. value for money. good mattress speedy delivery cant find a fault, well done. Ordered Monday, delivered Thursday, slept until Saturday. Could not be better. Fantastic mattresses. Great value. Great communication. Quick delivery. THANKS!! I had a knee replacement 6 months ago and found that once I got home I needed some help and support getting into and out of my favourite chair and my bed and as I live alone it was a bit of a struggle. A friend told me about the Electric Bed Company and my daughter in law helped me to choose one. I had no experience with using a computer but it all seemed to be very easy to choose and order one online. The bed arrived on the day and time as promised and the delivery men were very nice and kind and they assembled the bed and showed me what to do to use it. As I bought one of the best selling Prestige Ambience beds it just cost me £399 and that included the delivery & assembly too. Since that day I have found getting into and out of bed so much easier and I feel a lot safer too. I have also found that once I am in bed it is so easy to adjust myself into a comfortable position and if I need to change it during the night it is very easy to do. My knee was a bit swollen and because I can elevate my legs now whilst in bed the swelling is much better. I have found that this has aided my recovery and my physiotherapist has said how well I am doing. I am very happy with my lovely comfortable new bed and am proudly showing it off to all my friends. I am 55 and if anyone had suggested to me one year ago to buy an electric bed I would have replied that I did not need one for at least another 15 years – how wrong I was. You see I had a car accident last winter and got some nasty whiplash to my upper back and neck. After the usual battery of tests and xrays I got referred to a physiotherapist who was very good to me and helped a great deal. However, I found it extremely painful to like down in bed and my sleep was very disturbed. I came across an advert online for the Electric Bed Co and as soon as I visited their website I knew I had found the answer to my problem. I bought the Prestige Ambience 6ft bed which has got 2 separate 3ft mattresses both fully adjustable. The reason I did this was so that my husband did not get disturbed by my trying to get comfortable. Delivery was very quick and communication with the company was excellent. Within 10 days of using the bed I had a big improvement in my pain levels and the quality of my sleep was much better as I had begun to sleep right through the night without waking to change position. My husband also slept better as he was being woken far less by me. I am so happy that I found the Electric Bed Co as my new bed has made a big difference to my recovery and I can now see that electric beds are great for almost anyone and everyone- not just those who have problems. In fact we are so happy with this new bed that one of our best friends has also just bought one – we have started a trend. I would like to say a big Thank You for my lovely new bed. Excellent customer service, fast delivery. Big Thank you to the delivery drivers. Very helpful. I would recommend your store to friends. Thank you so much for progressing this quickly, delivery next Wednesday is the best news we could have had. Both my mother and I are immensely grateful, she can now look forward to spending her final weeks at my home with her family around her. To waive any additional fee is also extremely kind and must clearly demonstrate the culture of your company. Thank you once again – I will ensure that I endorse the feed back to fully reflect your professional service and your compassion. As our family had all flown the nest we decided to start anew and start looking after ourselves for a change. The first thing we decided to change was our bed because our old one was over 20 years old and to be perfectly honest neither of us felt rested when we got up the next morning as the quality of sleep we were having was not good. Some friends of ours recommended the electric beds at The Electric Bed Co. Although neither of us suffer from mobility problems yet, we chose to buy an electric bed and are so glad we did this. We immediately saw the value of these lovely beds as they are simply so comfortable. We can sit up and watch a film or sit reading in great comfort and as we bought a 5ft dual Prestige Ambience bed this means that we each have a mattress of our own, one can be sitting and one can be sleeping without either disturbing the other. My husband Stephen used to snore and now he elevates his head just slightly and he snores no more. We both find that we feel far more rested when we wake next morning and any aches and pains we might have had disappear overnight. These beds are going to be invaluable for when we get a bit older as getting into and out of them is so much easier than flat beds as we can set the mattress to our own personal comfort settings. We can see why these beds are so popular as the price is comparable to normal beds without all of these advantages. Thank you The Electric Bed Co. for these lovely beds they really are the most comfortable and supportive beds we have ever slept in and we really do get a perfect night’s sleep every night. Being 84 means that I have now got a few health and mobility problems and as I have got oedema on my feet and ankles as well as arthritis I struggle to get into and out of chairs and into my bed. I still live alone and want to remain independent and living in my own home for as long as I can. You can imagine how thrilled I was to learn about The Electric Bed Company and their electric adjustable beds as a way to help me. My nephew helped me to choose a bed from their website and it was so easy. The Electric Bed Company delivered it as promised and the delivery men were very kind and assembled it all for me and this was all included in the £399 I paid– all I had to do was to get into bed and enjoy it. Because the bedframe adjusts it now means that I can get into and out of bed with ease and without fear of falling backwards. When I am in bed I simply raise the feet and this helps to ease my swollen feet and ankles. If I want to sit and read or watch my TV I can get comfortable in seconds with no more need for lots of pillows and cushions to prop me up. The best thing of all is that I do not need any help from anyone to do this & I can be totally independent. I have recommended these beds to all my friends at the British Legion club as mine has made such a positive difference to my life and I recommend them to you too. For the last 25 years I have been suffering from Arthritis and in this time I have had a hip replacement and a knee replacement. As I have got older I have become less mobile and now also suffer from other health problems too. My mobility problems meant that getting into and out of bed was harder and harder and also when I was in bed I found that getting comfortable to be able to sleep was sometimes impossible. A normal flat bed just was not giving me the support I needed and even in bed I was in a lot of pain. My daughter read about electric adjustable beds and she discovered The Electric Bed Company. 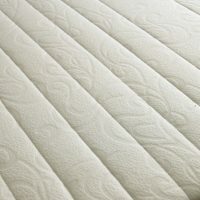 We had a look at the website together and then went to a local bed store to try out some adjustable beds. However, as The Electric Bed Company does not have expensive fancy showrooms or staff to pay they are able to keep their prices right down – in fact they even do price matching. So, we ordered the Prestige Ambience online. It was so easy and the price of £399 even included the free delivery and assembly, not much more than a standard flat bed. We could never have assembled it alone. Now I realize how much easier bedtime is. I can get into and out of bed with ease and on my own without needing help. I can get comfortable to be able to sleep and I no longer keep waking up feeling pain and discomfort. As a side issue I also found that my puffy ankles are much better too as I can now sleep with my feet slightly raised. My Prestige Ambience has helped me to regain some independence, made my life far more comfortable and far less painful. I recommend The Electric Bed Company to anyone who has got Arthritis or mobility problems as these beds really do help you to stay independent longer and help you to maintain your dignity with comfort. Before we bought our adjustable bed my husband suffered from very unpleasant gastic reflux symptoms and he snored very loudly for the last 10 years. This meant that as we share a double bed that I too suffered because he kept me awake by tossing and turning and snoring of course. In fact over the last 15 years I doubt either of us got a full nights sleep and I inparticular always felt tired and weary. Although my general health is good it always felt like I was under par because of the lack of good sleep. Some friends of ours recommended we take a look at The Electric Bed Company as they had recently bought themselves a combination of dual bed. This is a dual 5ft kingsize Electric Bed where each partner gets their own fully adjustable mattress. We bought the Prestige Ambience 5ft and were delighted to find that it was so easy to order online and it came with free delivery and assembly. What was best of all though is that fact that a brand new electric adjustable bed at just £798 cost us pretty much what an ordinary ‘flat’ bed would have cost. That was 8 weeks ago and I can now report that my husband is now able to sleep ‘reflux symptom free’ as he is able to sleep in an elevated position and this also actually helps his snoring problem too. I am no longer disturbed by him tossing and turning and the fact that he is snoring less means I get a good rest too. Both of us are feeling much better for the uninterrupted sleep and we find that we have got so much more get up and go to do the fun things in life. Our new Prestige Ambience really is a godsend to us, it is so very comfortable and really a luxury item but without the high pricetag. Both of us would recommend one to anyone who suffers from Gastric Reflux or snoring or to anyone who has a partner who suffers from these. This bed has made a big and positive impact on both of our lives. Excellent service from everyone involved. Highly recommended. Perfect Realy helpful staff and very good service. Excellent!! Excellent company to do business with would thoroughly recommend their services I, would just like to confirm how pleased my mother was with her electric bed. How excellent your contact was with regarding to the delivery, the delivery men were also very helpful and put the bed together, took all the packing away, and then showed my mother how to use the controls. The bed is of good quality and just as good if not better than some people pay double the price for. I would definitely recommend your company to others. Thank you so much it has made such a difference to my elderly mother’s life. She only has her pension to live on and it took quite a while for her to save for this bed and if it wasn’t for your reasonable price she would still be saving. Thank you so much for selling this bed at such a reasonable price. It’s pleasant to see that not every company out there is after making a large profit off the elderly and infirm. Well done and once again many thanks. great item delivered exactly when they said. Very pleased with item !!!!!!!!!!!!!!!!!!!!!!!!!! fab company, buy with confidence- perfect tranasction,helpful staff very pleased, thankyou. Excellent, really happy with the bed – highly recommended! Excellent Product along with First Class Service. Couldn’t do better anywhere.